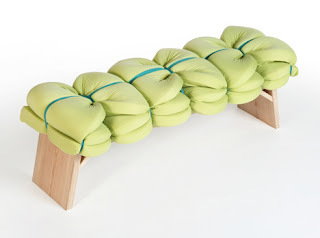 German design graduate Meike Harde has designed a range of upholstered benches and stools simply by folding foam mats and fixing them to wooden frames with elastic bands. Meike Harde created the furniture with the motivation to explore new methods of upholstery construction, aiming to create a stiff cushion from a flat foam mat. 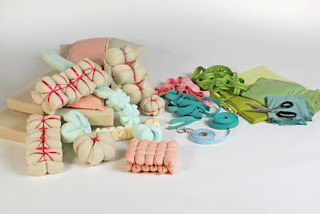 By contrast, the simple, fast construction method that Meike has invented uses just three components: foam, rubber bands and wood. The foam mat is layered and gathered tightly to create waves that are held together at the top and bottom with elastic bands. 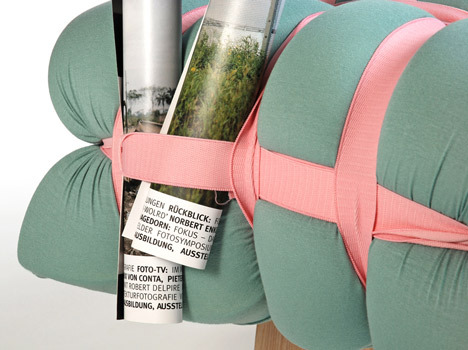 The cushion is then compressed and fixed using longer elastic bands in the opposite direction, before the wooden stool is inserted underneath the elastic. 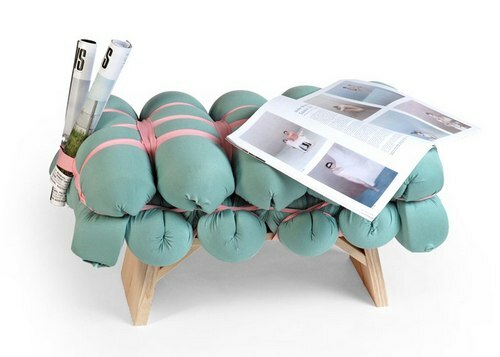 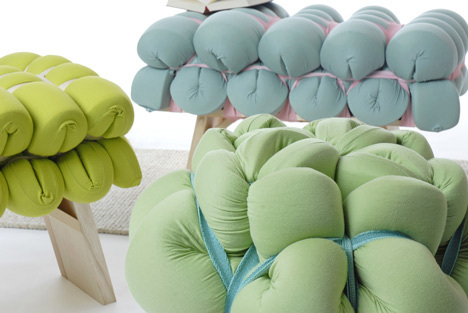 This design avoids permanent connections between the foam and the wood, making it easy to replace cushions when they become worn. 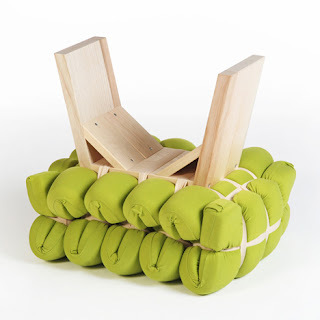 The small stool, which Meike says ”looks like broccoli, is made from a square piece of foam while the benches are made from a rectangular piece of foam. 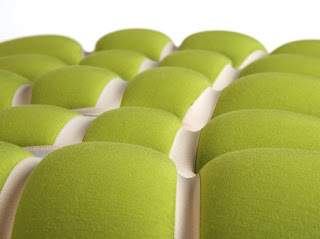 When asked about the comfort of the stiff benches, Meike told Dezeen “the furniture should be used as a bench, not as a very soft armchair,” comparing the comfort to that of Chesterfield leather furniture. We have also featured a series of disturbing masks designed by Meike Harde, called Too Beautiful to be True. 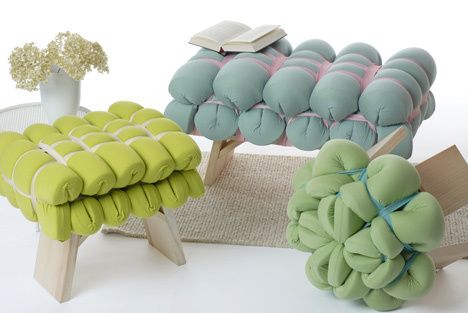 Other benches and stools we have featured on Dezeen include a bench that can be converted into a chaise longue, or an armchair and a side table, and a collection of stools that can be used as tables or seats.